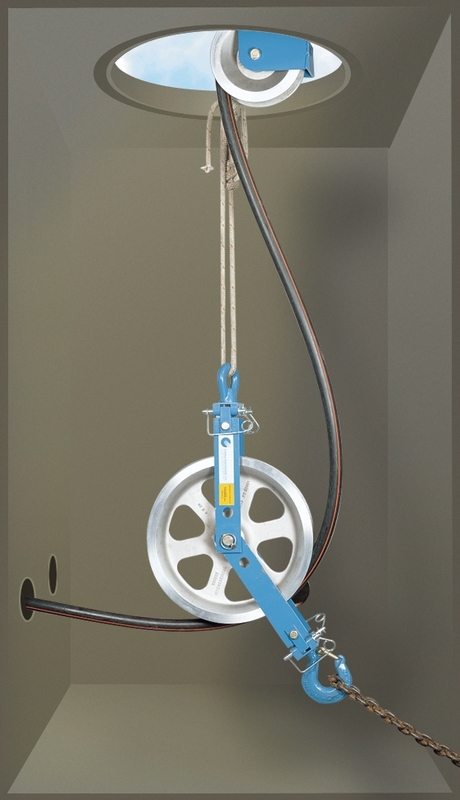 Products / Hooked Hanger Sheaves 10,000 lb. 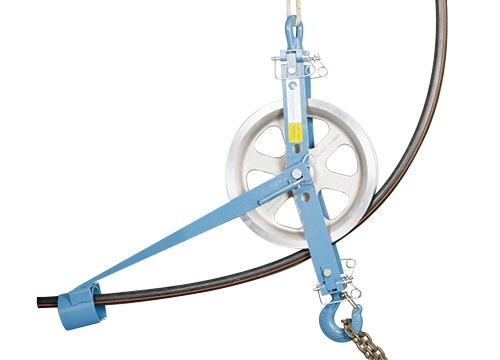 Hooked Hanger Sheaves 10,000 lb. Tie off in the manhole to guide cable into the duct. Also used with alignment arm for cable removal. Hinged yoke for easy cable installation and removal. 10,000 lbs. (44,480 N) cable tension load capacity. See replacement sheave chart for specifications on sheave sizes. Alignment arm sold separately. Replacement Sheaves available. See Specifications and Selection Charts on page 113.